Online and Blended Learning are terms that are rapidly aging. Independent schools have been struggling to provide students with greater participation and choice in their course work and this has seen the significant use of online and blended learning options. 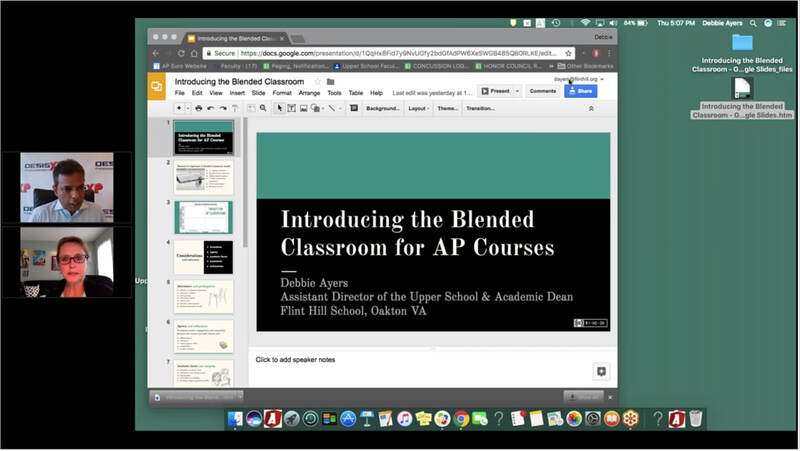 As you will see in the OESIS-XP broadcasts below there is also a nice convergence between competency-based approaches and blending as they both seek to provide pacing flexibility for students. Nevertheless, as you can see from Table 14 opposite that many of the skills necessary for blended and online learning are still works in progress for independent school teachers. With online learning much of the emphasis has been either on courses that are difficult to justify with small sections that are usually core AP type courses (AP Psychology) or project-oriented electives that are usually student-driven and asynchronous with teacher check-ins virtually to keep students on task. A few other elements have led to greater use of blending and online paradigms. Firstly, today's students are increasingly looking for an authentic audience of their peers for feedback and validation and this has led to great use of online chat threads and collaboration from class back-channels to moderated threads to school to school opportunities. Secondly, it has become much more difficult to schedule students as schools have built in much more choice in to their courses of study: many independent study type electives have grown up as a way of accommodating student passion and interest and much of this is done on a blended or asynchronous online basis. ​Enjoy some of the videos below from the OESIS-XP Network. 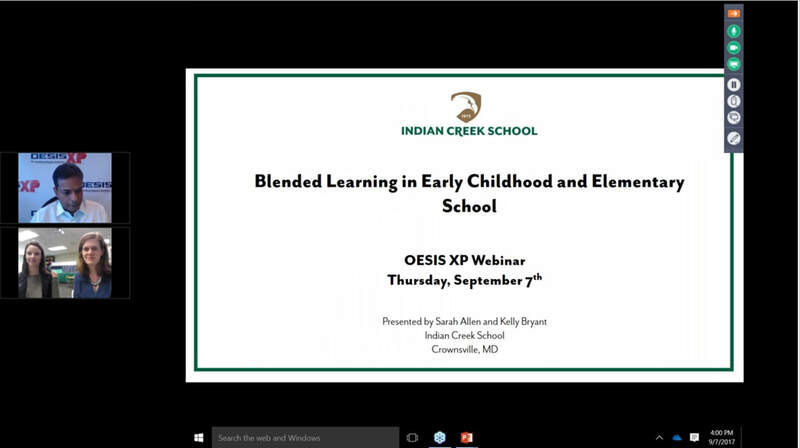 View OESIS-XP Recording: How Blending is a real Conduit to Competency and Mastery With Jill Abbott, Executive Director, 8 Schools Association Online. 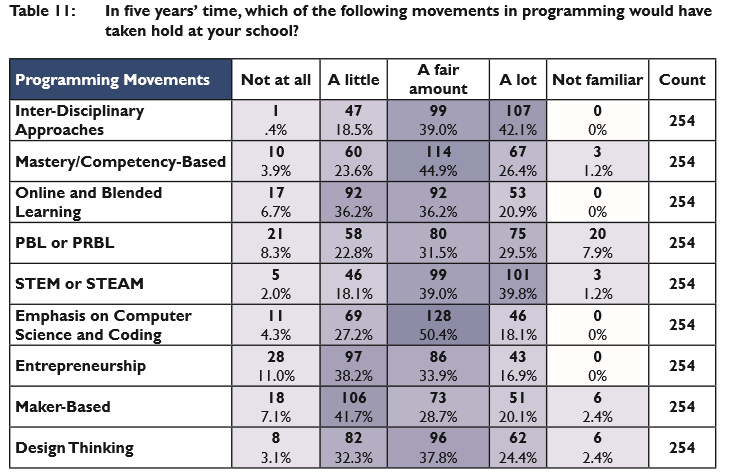 ​These two charts from our recent research show the increasing emphasis on PBL in independent schools.